Dirk Aaron Bohl is Managing Director of DELTACON Münster GmbH & Co.KG - Executive Search and Recruiting and heads up the office in Münster. He is in charge of the Competence Center “Food and Beverage Industry, Food Ingredients, Health Ingredients and Foodservice”. He is specialised in the optimization of your management team, as well as the search for and selection of executives and specialists in the fields of management, sales, marketing, purchasing, finance and human resources as well as production, research & development. Dirk Aaron Bohl has more than 20 years of experience in the food and beverage industry as well as in food-producing industrial companies. His expertise encompasses both multinational corporations, as well as SMEs, where he held senior management positions, such as Managing Director Global Sales & Marketing, Vice President Europe Sales & Marketing and Sales Director Europe and Sales Director Corporate Sales Germany. The development and implementation of sales and marketing strategies and tactics for leading branded goods companies in B2C & B2B was just as much a part of his role as comprehensive responsibilities for expansion, turnaround and change management. 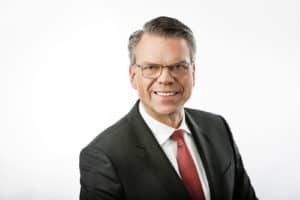 Prior to founding DELTACON Münster GmbH & Co. KG, Mr. Bohl already worked as a consultant and coach in his own company and had a supervisory board mandate at a start-up company in the education sector. He earned his diploma in Business Administration with an emphasis on Marketing at Kempten University of Applied Sciences and a subsequent fellowship for International Marketing at the University of Ulster / Belfast.